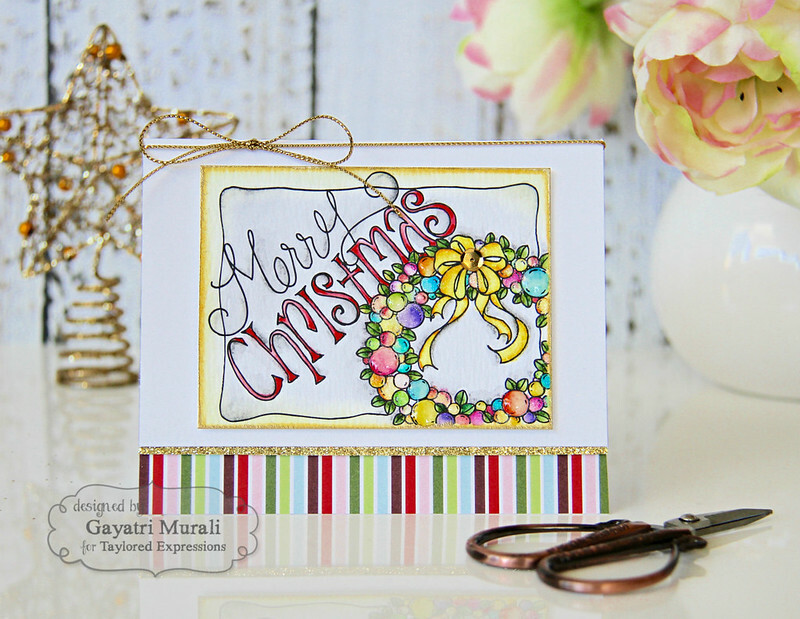 I have couple of Christmas card I made using the beautiful watercolour panels from Taylored Expressions. 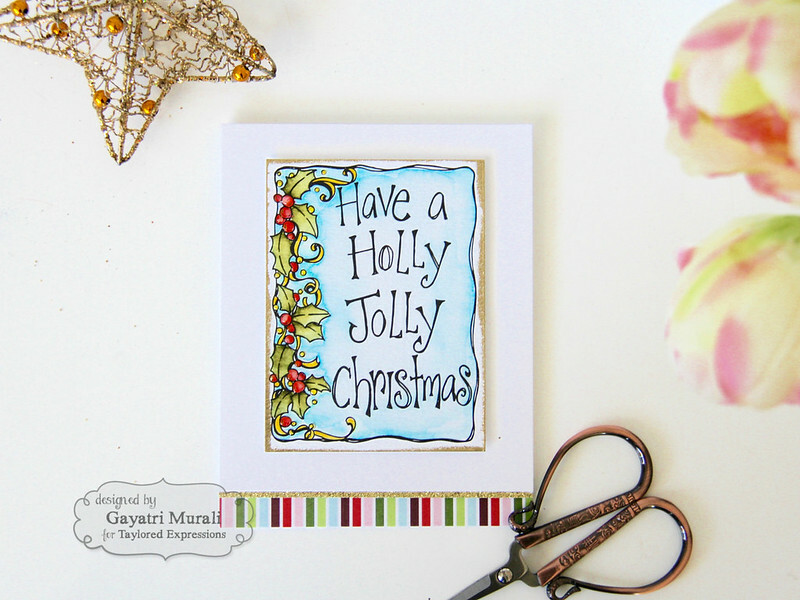 These panels are 3″ x 4″ in size and are printed with twelve Christmas and Holiday doodle images. Absolutely beautidul images and perfect for on the go. These panels can be used as Project Life cards or even ATC cards. I have watercoloured couple of panels and used them to make cards. I watercoloured this panel using Zig Clean Colour Brush Pens and aqua brush. I then applied versamark on the edge of the panel and gold heat embossed. 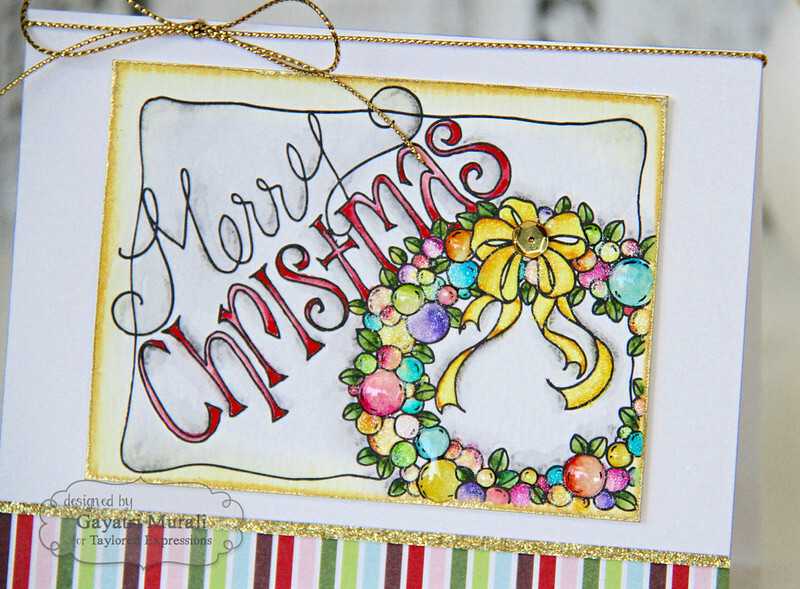 This frames up the panel beautifully and also give the festive look. I also added glitter to the baubles and glossy accents to a few of them to add dimension. To make into a card, I added a strip of pattern paper from Playful Patterns Holiday 6×6 pack on the bottom of the card front. The trimmed a Sugar Cube panel by half an inch from the bottom, added a thin strip of gold glitter paper then adhered the panel on the card front using foam adhesives. I then wrapped gold twine on top of the card front into a bow. Finally foam mounted the watercolour panel on the card front. I wanted to bring all the gold together with the addition of single gold sequins to the bow on the watercolour panel. My second card follows a similar layout with a little difference. 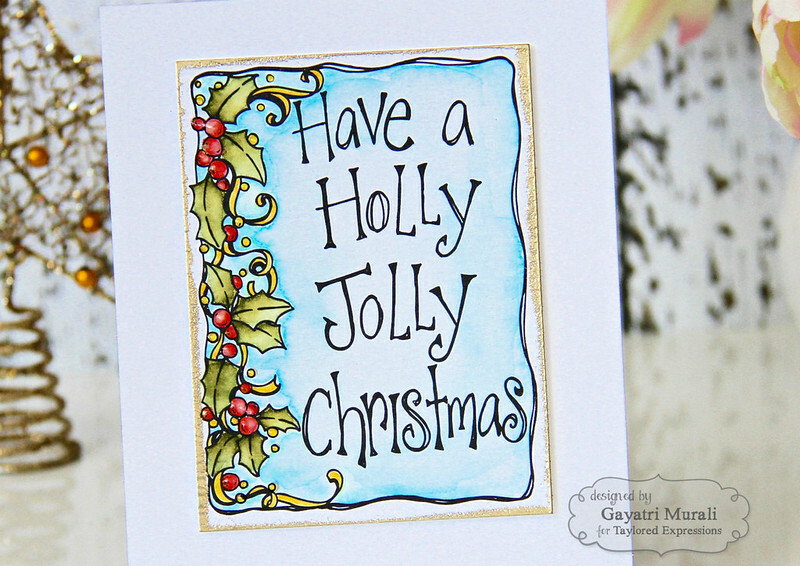 This is another panel from the 3 x 4 Christmas watercolor panel pack. I again watercolour the panel using Zig Clean Colour Brush Pens. Added versamark on the edges and gold heat embossed. Then for a bit of dimension I added glossy accent to the berries. To make the card, I followed the same process of the previous card. 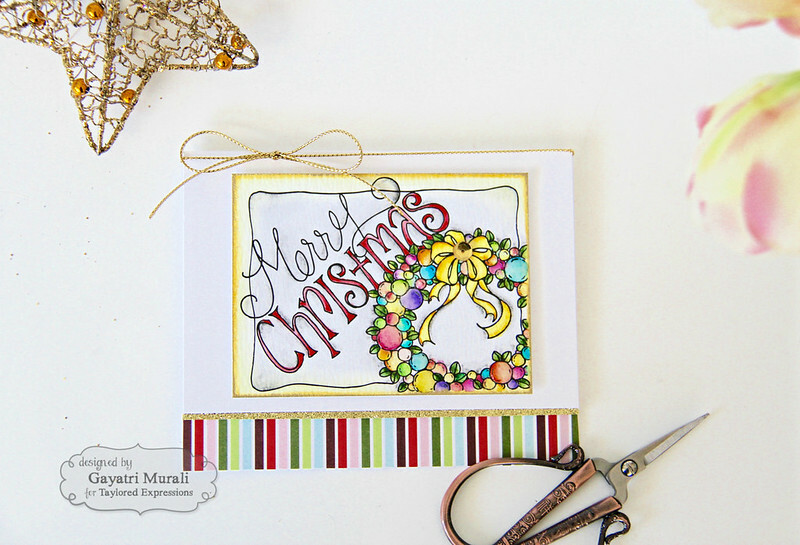 I love the clean and simple version of this card without the gold twine and sequins. 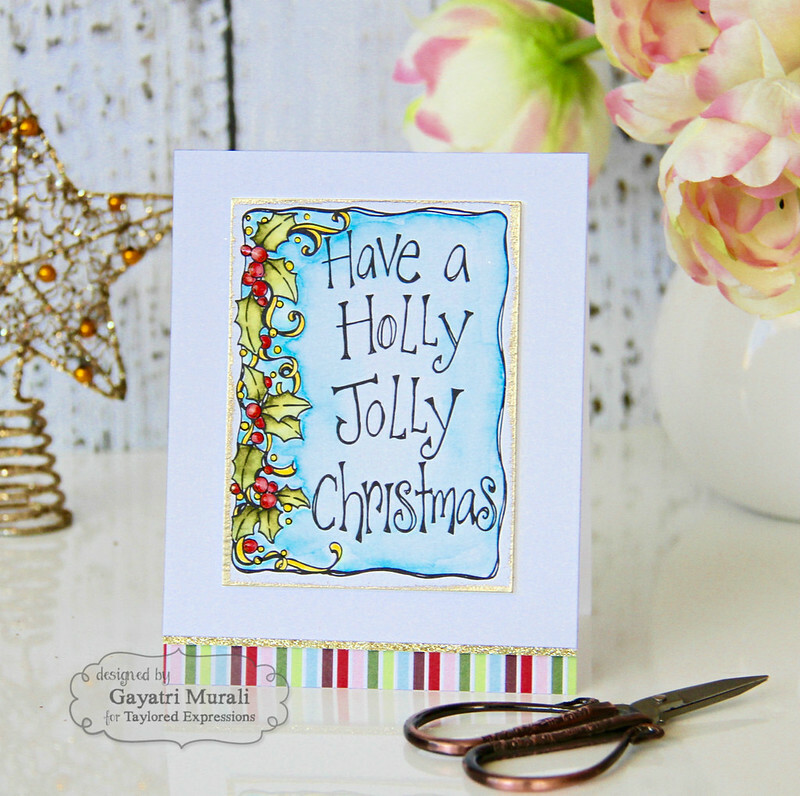 There are 12 panels in the pack and just colour them at leisure and mount them on card base to make 12 quick Christmas cards. You can punch a whole on the top of each panel add twine and use if as a tag. Love the versatility of these panel. Hope you are inspired. All the supplies I used to make these cards are listed below for you.